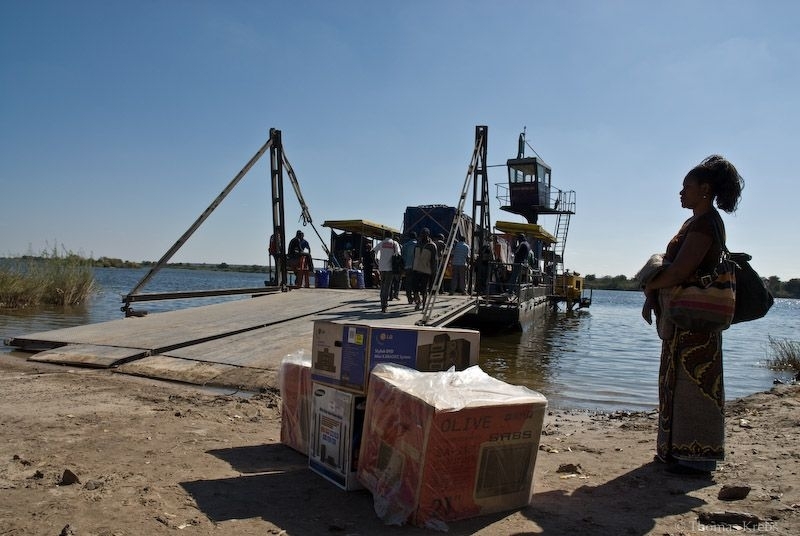 Crossing the border between Zambia and Botswana means you have to cross the Zambesi which is done by ferry. Watching the people on the Botswana side was really interesting. In particular, what stuff they transported. This lady had a couple of home entertainment electronics with more on a near by truck. This is a really interesting scene.. great documentary shot! Alles für Solarstrom eingerichtet. Schöne Szene. Excellent picture, composition and light and in addition an interesting scene/motif! Well spotted and captured! Wow, die Fotos aus Afrika sind umwerfend. Dieses hier gefällt mir besonders gut. Schöne Aufteilung. Ich muss auch unbedingt nochmal eine Tour dorthin machen. Nice dramatic wide angle. The women waiting for the ferry looks very elegant. What a way to travel.